Click on the bars below to all the subdivisions and condo & townhome complexes in Kiowa. You can also view the most popular searches such as ranch style homes, new construction, homes with a pool or houses with mountain views. Click to see Local Subdivision and Complex Maps. What is Your Kiowa Home Worth? Kiowa is a small town sitting along Colorado State Highway 86, sitting east of the fellow 86 towns of Elizabeth and Franktown. Truly a place to explore the outdoors, Kiowa is both rugged and upscale, offering an excellent selection of homes that blend well with local natural wonders. A small frontier town, Kiowa Colorado is the sort of place where community spirit plays a huge role in day-to-day life. Security and comfort are part of living here, but a strong connection to Mother Nature is ever present. 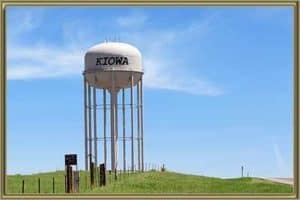 Stepping into Kiowa is like a snapshot of historic frontier living, but while the town embraces its roots, homes offer both traditional and contemporary designs in the numerous subdivisions. When living in Kiowa, horses become a way of life and are a regular sight around the town. Subdivisions in Kiowa embrace our equestrian friends, with all but two allowing for specific horse zoning. Still, there are options for those who don’t want or need a horse-friendly community in the form of Downtown Kiowa and Fawn Valley. These two areas offer a bit more urbanity, but never trade the unique frontier feel of Kiowa, while providing more affordable living options. It’s true Kiowa never really achieves a feeling of city living, but the town does offer a complex of condos at Kiowa Creek Condos, where 1,000 to 1,500 sq./ft. lots are available. People who love the outdoors will be instantly drawn to Hawkeye Ranch and Kiowa Country Ranch, both of which offer massive plots of over 35 acres set among stunning landscapes finished with opulent ranch homes. As the county seat of Elbert County, Kiowa, Colorado is a hub that provides some unique attractions to visitors and residents alike. For example, Kiowa hosts the Elbert County Fair, which runs each summer and provides festivals, shows, and more. The Elbert County Fairgrounds provide space for events which are held year-round in Kiowa. Another noteworthy attraction in Kiowa, CO is the Elbert County Historical Society & Museum. Built nearly a century ago, the museum shows how Kiowa and the wider Elbert County have changed through the decades, with dedicated presentations, unique artifacts, and community outreach events. Kiowa also delivers a taste of Colorado living by connecting people with the outdoors, whether in the town or heading into the surrounding natural wonders. Fawn Valley Park is the newest greenspace in Kiowa, providing play areas, gentle walks, and outdoor spaces. Kiowa, Colorado is an enticing blend of modern living set amidst historic settings; a town that embraces its historical significance but provides a unique variation of homes that fit most tastes. It has become one of the most desirable locations for homeowners wanting to know what Colorado is all about. See all the Things to do in Kiowa, CO. Whether buying or selling a home in Kiowa, the team at Gold Compass Real Estate can provide you with knowledge and confidence. When selling in Kiowa, CO, our expert agents can provide advice on the market, offer a pre-listing, and discuss a consultation. To get started, why not see your Kiowa Home Value Instantly Online now and talk to one of our team for more information. Gold Compass Real Estate provides a Free Personalized Market Report, which helps you understand the local market, including prices and trends. We recommend this report whether you are buying or selling property in Kiowa, or the wider area encompassing all of Colorado. Our team is comprised of expert, qualified agents who have local knowledge of Kiowa and can provide detailed knowledge on house prices, subdivisions, and the community in general. To ensure clients receive the best service, we update our online database regularly to reflect changes in prices and listings. For more information, call Gold Compass Real Estate at 303-325-5690 to discuss buying or selling property in Kiowa Colorado.